It's time to vote for the latest pixel art challenge: Quadrymmetry. Depict any kind of cetacean (dolphins, whales, narwhals, etc...) in space. Thanks so much to all who took the time to vote and participate in the challenge! Check out the Sprite Sprite forum thread for more information. The theme for this isometric collaboration is horror. Exteriors and Interiors rooms, halls, catacombs, labyrinths, sewers, tombs, sacrificial altars and anything that fits within the horror theme is OK. As for characters, vampires, mummies, zombies, ghosts, murderers, spiders, even aliens and OTT fantasy are OK as long as its scary! Featuring Erstus' award winning 13 color palette. Announcing the winners of the 13 Color Palette Comp. Thanks so much to all who took the time to vote and participate in the challenge! Check out the Monstrous Mock-up forum thread for more information. It's time to vote for the latest pixel art challenge: Sprite Sprite. Pixel an image that is both vertically and horizontally symmetrical. Thanks so much to all who took the time to vote and participate in the challenge! Check out the Watch Out! forum thread for more information. It's time to vote for the latest pixel art challenge: Monstrous Mock-up. Canvas Size - Max 48 x 48. Max Colours - Max 8. Hi guys, I just released my simple casual pixel art game called Walau TP! A brand new app for creating pixel art on an iPad has been released. It's called Pixaki, and it's designed to be a professional tool, with support for up to 20 layers and the ability to export to a PSD file. Create a mock-up of a game with a protagonist that is a monster. Edit: We all know that humans are indeed the real monsters, but for the sake of this challenge, humans aren't considered as being monsters. Thanks so much to all who took the time to vote and participate in the challenge! Check out the Behind the Door forum thread for more information. It's time to vote for the latest pixel art challenge: Watch Out!. 50,000 Active Artworks! Activity plus Prizes! We recently reached 50,000 active pieces in the gallery! 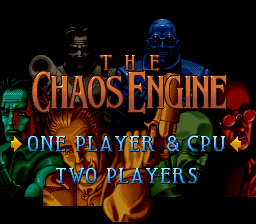 To celebrate, we're going to give away six Steam copies of the newly re-released Chaos Engine - featuring wonderful pixel artwork from Dan Malone. In order to participate, create an avatar for yourself (64 x 64px) using one of the original Chaos Engine palettes shown below (this includes the black); you do not have to use all the colours, but for obvious reasons, you need to use at least 2. You may also use transparency. 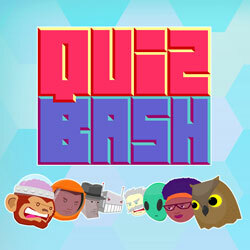 Start using your avatar and post a comment in this news post to enter. Everyone with an account made on or before September 2nd, 2013 and an avatar using one of the below palettes is eligible to enter. You have until September 10th, 5pm AEST to enter. Six winners will be randomly selected from all valid entries. You may create multiple avatars, but you will only entered once. Winners will need to have a Steam account to receive the game. Update: You do not need to use all of the colours. Black is allowed, as is transparency. Thanks so much to all who took the time to vote and participate in the challenge! Check out the Inner Body Experience forum thread for more information. It's time to vote for the latest pixel art challenge: Behind the Door. Pixel Art Challenge: Watch Out! Create your own original design for an interesting watch or clock.